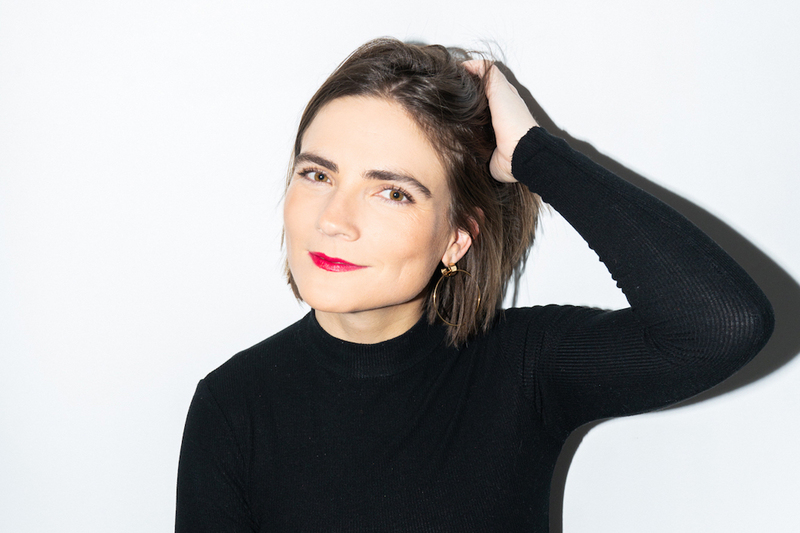 When Emily Ramshaw left the fashion and beauty site Coveteur after four years as a fashion writer, her plan was to work as a freelance reporter. But then Bumble came knocking—or should we say buzzing. “Bumble was one of my clients pretty early on, I was doing content for them,” Ramshaw says, reclining on a sofa in the vitruvi office during a recent visit to Vancouver. “And then eventually they had wanted to launch in a real way in Canada—there’s always been a pretty strong user-base here, but without any on-the-ground marketing support. So it was a very organic conversation.” Before long, the Torontonian was working full-time for the Austin-based tech company as country lead for Canada. Many people know Bumble as that dating app that’s not Tinder, but in reality this woman-led company is about so much more than swiping right or left. Founded by Whitney Wolfe Herd (also a co-founder of Tinder) in 2014, Bumble began as an antidote to the toxic way that women are too often treated online—especially when it comes to finding a mate. As such, Bumble matches require women to make the first move in a conversation, and aggressive or offensive comments are strictly prohibited. So while the product that Bumble promotes might be a smartphone app, the core mission of the company is rooted in creating connections and ending misogyny. By empowering women to take the lead (and to report users who are treating them poorly), and by facilitating online relationships that blossom offline, Bumble is creating a more inclusive, supportive, and open-minded society. It’s no wonder, then, that some of pop culture’s most empowered women have jumped on board, from actress and philanthropist Priyanka Chopra Jonas to tennis player Serena Williams. “I mean, it’s not like we’re giving them these words—they’re already standing for these things,” Ramshaw says. “It’s exciting to see an endorsement from someone who is living what we’re talking about.” Recently, Bumble made an ad starring Williams that aired during the 2019 Super Bowl; it was a triumphant moment for women around the world to see a strong female so prominently featured at a male-centric sporting event. Ramshaw admits that watching it made her cry, and Wolfe Herd posted Instagram videos of her own weepy viewing party. They were tears of joy that probably tasted less like salt and more like honey.